“Coercion to innovation” – a term coined by the Russian business media for the Medvedev cabinet’s policy of incentivizing Russian state-controlled businesses and overcoming their general non-receptiveness to modernization – has produced little result, and it is government coffers, not corporate ones, that have paid for most revamping. This is how Mikhail Gershman, a senior research fellow at Moscow’s Higher School of Economics, portrays Russia’s top-down innovation in an article published earlier this month in the journal Foresight Russia (available online only as a teaser). 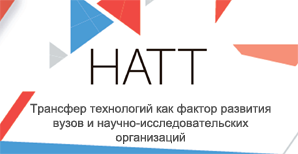 East-West Digital News, the international resource on Russian digital industries, reports an overview of the study. In his in-depth analysis of 44 state-controlled companies, Gershman finds that in 2011 the firms spent 41.5% of their innovation budgets on new equipment and less than 1% on the improvement of business processes. Some of the equipment purchased stood idle, as there was “virtually no funding” for personnel training and retraining (less than $500 per staff). Go-betweens were involved in 42% of equipment and software purchases or contracts for design – a serious violation of international counter-corruption practices. In 2011 the companies in question shied away from investing in R&D themselves, goading regional governments instead into covering a significant part of their corporate needs for new technology. As a result, the EU could only name Gazprom, Russia’s natural gas monopoly, and Lukoil, an oil giant, among Europe’s 1,000 largest corporate R&D sponsors, Gershman notes. 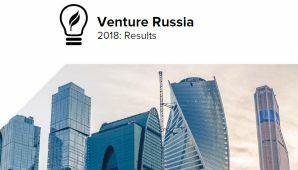 Finally, plans by government companies to invest in Russian VC funds or create their own venture arms have remained on paper so far. Last week Russian Prime Minister Dmitry Medvedev said at the Skolkovo international conference Dialogue on the Future that in 2013 large companies – not exclusively state-controlled ones – are expected to invest “about 550 billion rubles” in re-equipment programs. “This is about $20 billion – not extravagant… but fairly substantial,” he underscored.